In another sentence or two, we’re going to inform you that what ski brand you buy isn’t very important. We want to caution you in advance that this statement isn’t entirely true. It does indeed matter what brand you buy; it just doesn’t matter as much as a few other factors that need to be settled first. To help explain why brand considerations are tertiary territory, let us present a brief summary of how major manufacturers organize their product lines. 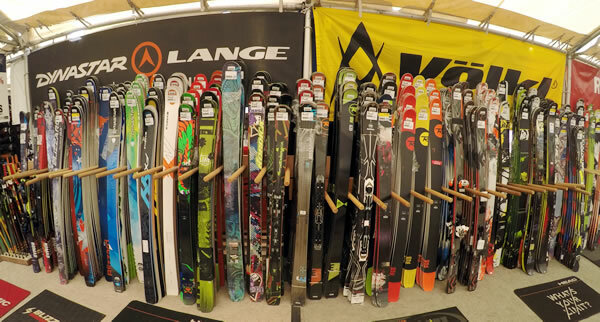 Every important manufacturer, without exception, organizes its product line around skier archetypes. Not every ski supplier attempts to service every skier type, but most well-distributed lines do try to touch all bases. Every important manufacturer, without exception, organizes its product line around skier archetypes. Not every ski supplier attempts to service every skier type, but most well distributed lines do try to touch all bases. It’s far more useful for the new ski buyer to identify which skier type best describes him or her than is it to select a brand with an appealing message. The standard line segmentation chart above sorts skiers effectively by where they ski, but only partially addresses how they ski. By “how they ski,” we don’t mean how well they ski in terms of proficiency, but how they use the ski as a tool during a typical descent. The film star who plunges down a precipice plastered in suddenly sloughing slabs of snow or the park skier who fires himself backwards into an off-axis spin are sensational athletes whose tools (and techniques) couldn’t be more different from the precision instruments wielded by World Cup racers. The wildly divergent requirements of “smurfing” freeride athletes and the carve-crazed race community have inspired two very different families of ski DNA. One descends from the demands of skiing at impossibly high speeds on ridiculously hard “snow,” where the only arbiter of success is elapsed time. The other bloodline is also concerned with time, as in how much time before my own slough carries me over the upcoming cliff? The racer cuts with a razor; the freerider smears on a palette knife. Both dance on the edges of Extreme. Were either condemned to ski the other’s device in his normal milieu, suffice it to say that both athletes would be hopelessly handicapped. All modern skis are products of one of two barely related families that reside at opposite ends of the ski-width spectrum. The narrowest skis have an adult dose of traditional camber and attempt to distribute pressure from tip to tail; the widest skis are double rockered, devoid of camber and concentrate connection to the snow directly underfoot. 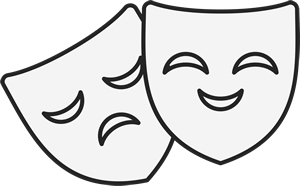 For all intents and purposes, they are as different as the masks of Comedy and Tragedy that their baselines mimic. There’s one more Yin-Yang schism in the ski world and it’s every bit as important as segmenting skis by terrain preference and waist width. It pertains to the vast majority of in-bounds, alpine skiers who face forwards when descending downhill. This duality describes the principal divide among all recreational skiers of average ability and above: do you drive your skis at a high edge angle so they etch an unbroken arc, or do you drift into a turn and allow mass and momentum to help you pressure the downhill edge? 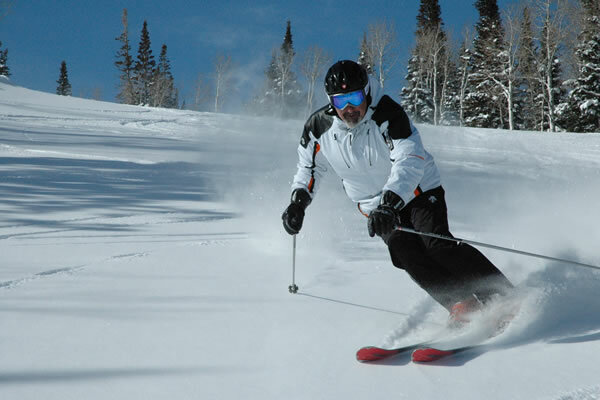 The energetic, high-edge angle skier we refer to as a Power skier connects to a carved turn early, is comfortable with feet extended well outside hips, even at high speed, and can change technique fluidly to suit the terrain. Finesse skiers prefer to keep speed in check, aren’t as confident with their feet far outside the body’s centerline, don’t normally apply additional force to bend their skis and are willing to surrender a measure of precision in return for effortlessness. To sum up thus far: prospective ski buyers first should consider the terrain they intend to ski and secondly assess how much effort they invest in their skiing. In an actual ski acquisition event, the field of choice might now be narrowed to, say, an All-Mountain East ski for a strong Power skier. Now what can brand association inform us about which model we should choose? We’re now ready to look at specific models, which means, ipso facto, specific brands. We counsel you, Dear Reader, to evaluate the brand first, which is why at realskiers we begin all our cataloged reviews-by-brand with a Brand Profile. But, why bother with a brand examination when you’re only going to be buying a single iteration of its oeuvre? If you were an inveterate reader, wouldn’t you want to know about the author as well as the book? The output of any brand is a reflection of where its models are built and who designed them. Manufacturers are married to their machinery, for better or for worse. Within this constraint, the ski designer—the Author—labors to achieve a unified vision of his brand’s essence. This is why every brand has a distinctive “family feel,” an on-snow identity that shines through the ephemeral sequence of sensations that is a ski run. A good ski designer is a lot like a great chef. Normally, both have access to the same ingredients as everyone else. (The exceptions are always interesting and sometimes successful.) But there’s always an element in the recipe that can’t be replicated, except perhaps by another master cuisinier. The essence of a brand is evident in every model in which a designer invests his heart. The “invest the heart” qualifier matters, as there are moments when being publicly held obliges a brand to pursue a niche in which they are adrift. Sometimes the extension of a successful brand family into uncharted waters creates a strange hybrid, like a carving ski with a double-rockered baseline, or a Big Mountain ski that’s essentially a Technical model on PED’s. These aberrations aside, brands seldom stray from their wheelhouses. Not to be flip, but manufacturers make what they like. Sometimes they’ll cut a corner to bump up their margins in a viciously competitive industry, a tactic that sometimes succeeds and often flops, but they usually return to what they’re best at, igniting their core competence of reproducible manufacturing with the spark of personality. 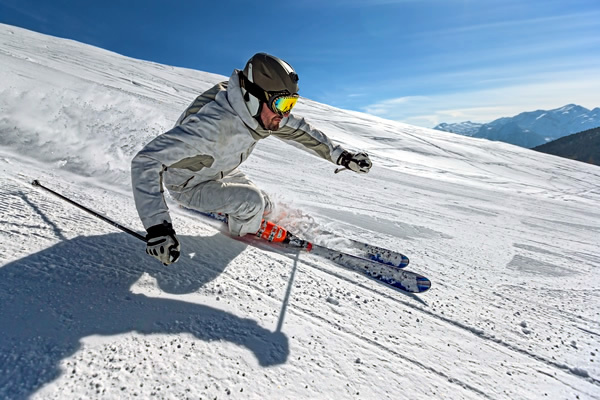 Decide whether you are a Power or Finesse skier. Comb through the reviews of our Recommended models. NOTE: Member versions are more thorough and complete than are those on the public site and Members also have access to 1-on-1 consulting. Find a specialty shop in your vicinity that carries 3 or 4 of the models most appealing to you, using our FIND buttons. Drop by their home page or give them a call. If you’re still in a quandary, sign up for our members’ site, log in and send us a SOS. We’ll tap into all our expert resources to find you an answer.